Hello! I would love for you to join me for worship this Sunday morning at Ingleside! 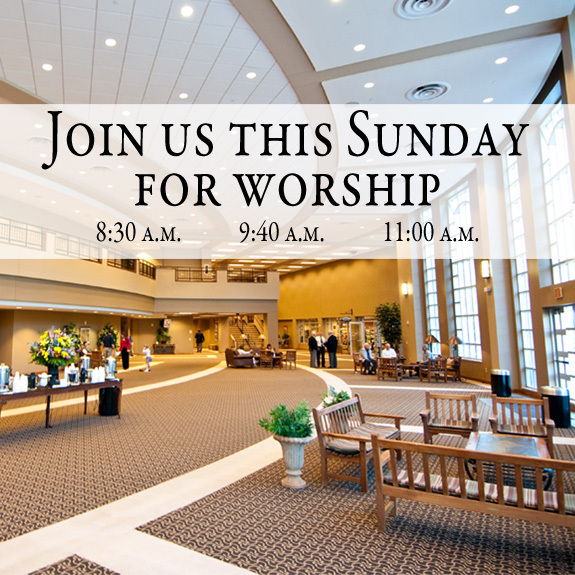 The schedule for Sunday morning services is: 8:30 a.m. (traditional) in the Chapel, 9:40 and 11:00 a.m. (blended) in the Worship Center, and 11:00 a.m. (contemporary) in the Multi-Purpose Gym. More information is available on our website at www.ingleside.org.